At The Storytelling Bean Counter, we believe in charging an affordable monthly agreed fee, rather than an hourly rate. You’ll be able to talk to us anytime without the fear of unexpected costs. Our goal is to exceed client expectations and deliver a valuable service. That’s why we use a value based pricing model to deliver our services which is paid via a monthly subscription. Our services are completely tailored to fit you and your business. We’ll work closely with you to assess which options suit you best and deliver a solution that’s relevant to your business needs. *Please note that these prices pertain to Xero or Zoho Books online accounting services. 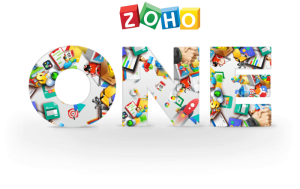 Also included are free versions of Zoho productivity and collaboration add-on apps. Don’t see a package that works for you? Contact us, and we’ll work together to create a customized package just for you.